Want to learn some simple strategies to manage your child’s meltdowns? Kids First Children’s Services founder, Sonja Walker, is a sought after writer, speaker and advisor on child development and practical parenting. She leads a team of child psychologists, teachers, speech pathologists and occupational therapists at Kids First Children’s Services in Sydney’s northern beaches. 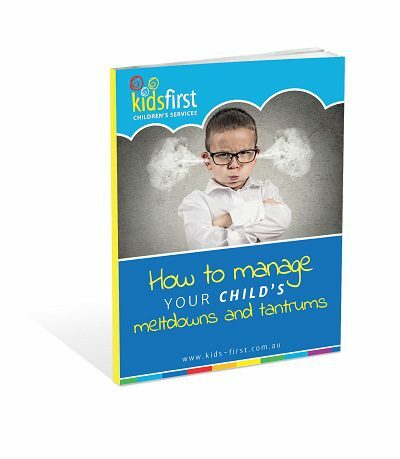 In this free e-book, Sonja shares 4 easy ways to deal with your child’s tantrums.